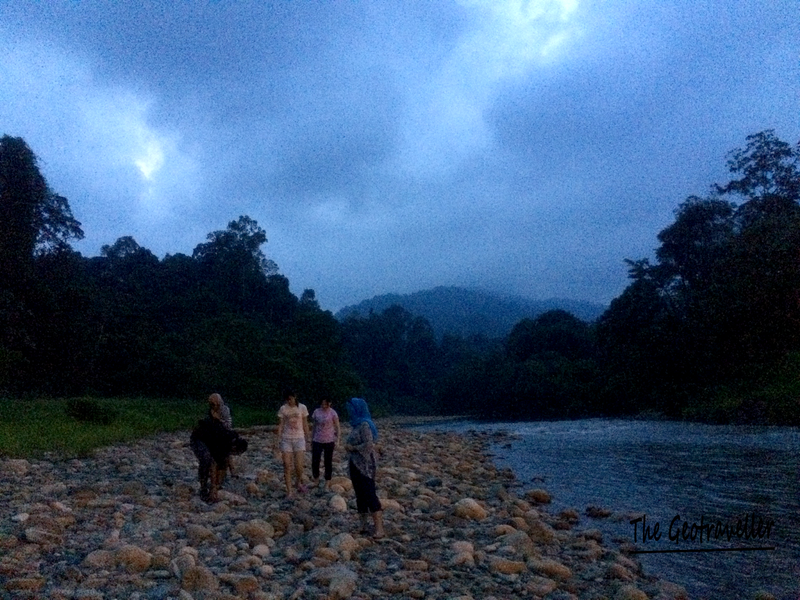 On the 15th and 16th of May 2015, we traveled by car to Sg Lembing which is located 272km from Kuala Lumpur. The journey took us about 3 hours with few stops at rest area to buy fruit and do other “businesses”. 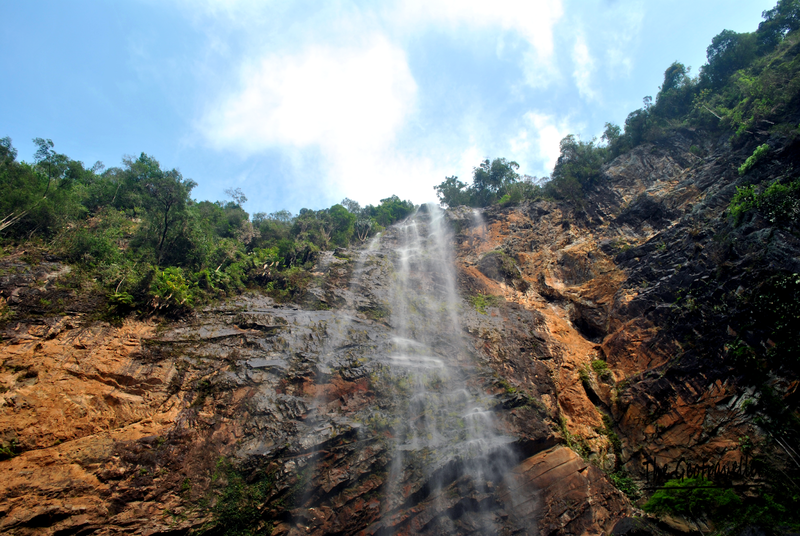 The main purpose of the trip is to witness the rainbow waterfall. 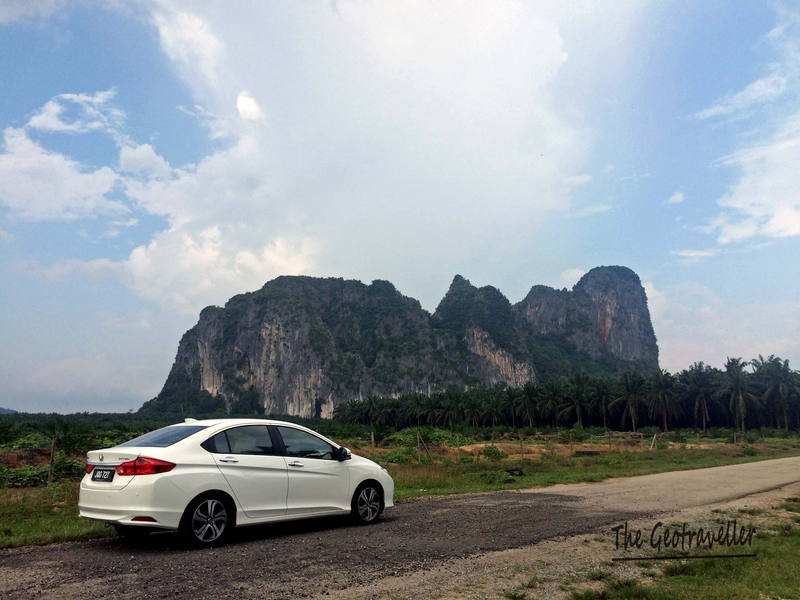 On our way, we saw a peculiar rock formation (limestone) from distance. They called it Gua Charas (Charas Cave). I had to drive off the main road on a not well maintained path but we decided to stop halfway and took picture from far. 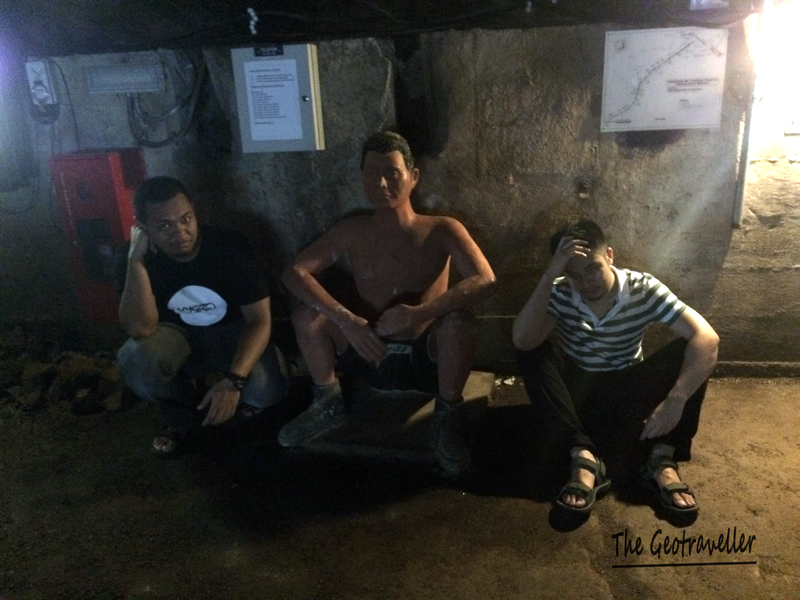 Later at Sg Lembing, the locals told us that there is a Buddha statue inside the cave. Can someone help confirm it? 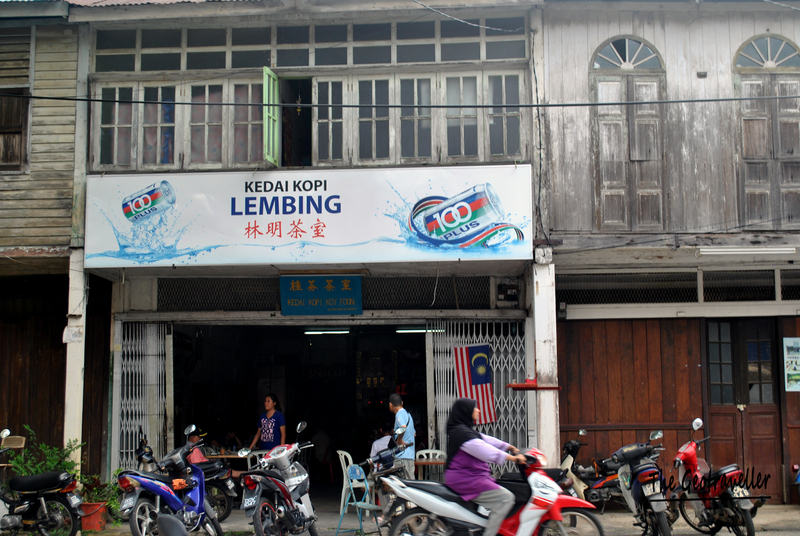 We arrived at Sg Lembing town around 3pm. 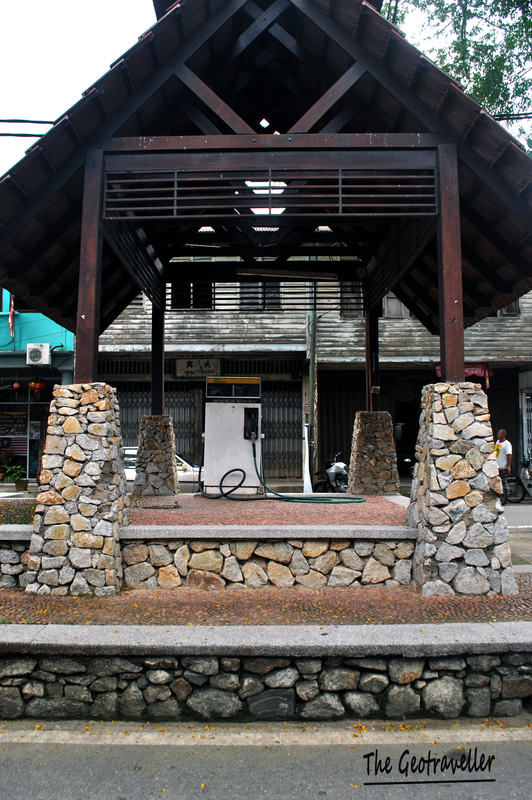 The town is very hot and humid but very peaceful. On top of the hill, there is a museum which we visited later. In the museum, we learned about the tin mining history. I had been looking forward to get inside the closed tin mine. I first heard about it when I was 14 in Geography class. The length of the mine is 322km and 610m deep. The experience was strange but definitely an awesome one. 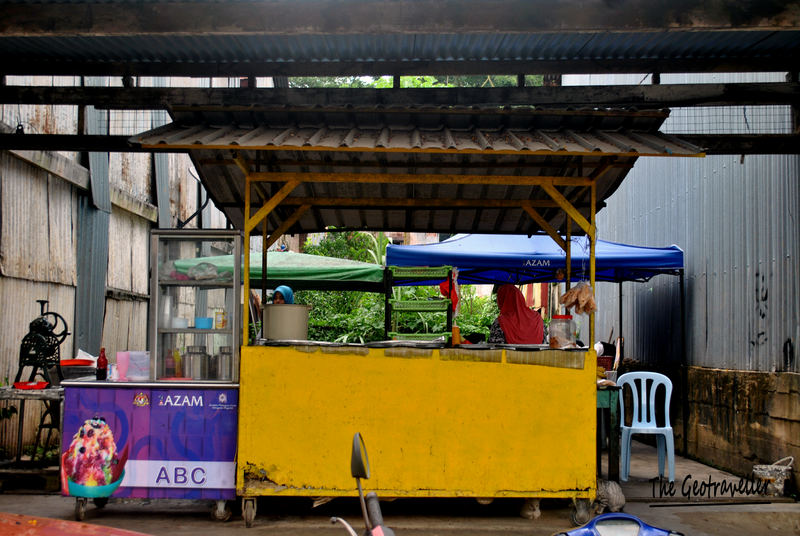 The entrance fee is RM16 for local citizen and RM30 for foreigners including 6% GST. I would do it again one day. Gua Charas from the distance. 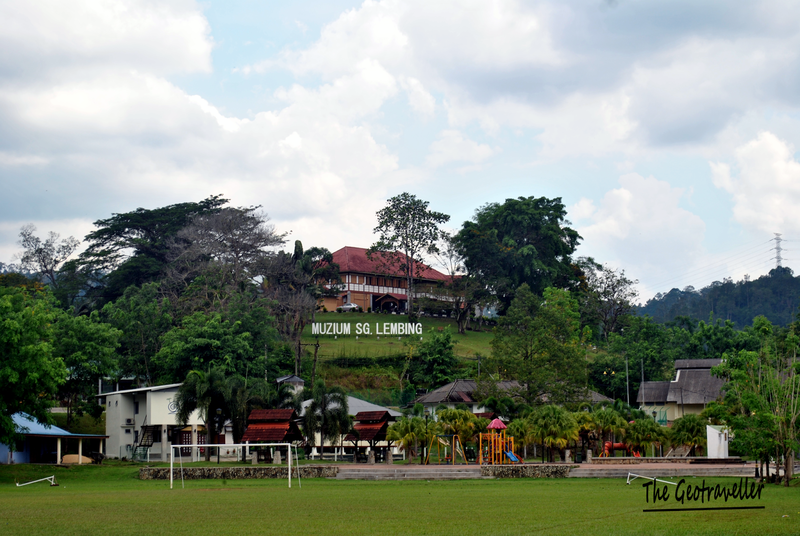 Museum Sg Lembing on top of the hill. We got confused and thought the hill was the famous Panorama Hill. In fact, Panorama Hill is much taller. We thought it would be hot inside but at this first level, the natural air circulation is great and it maintains the cool temperature. You have to keep exploring. 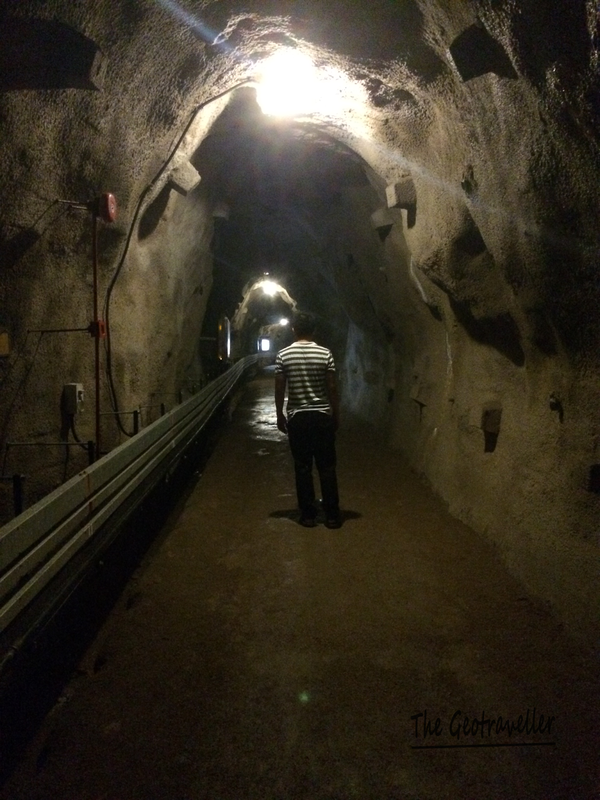 Then we visited the 1 million cave. Why is it called 1 million cave? 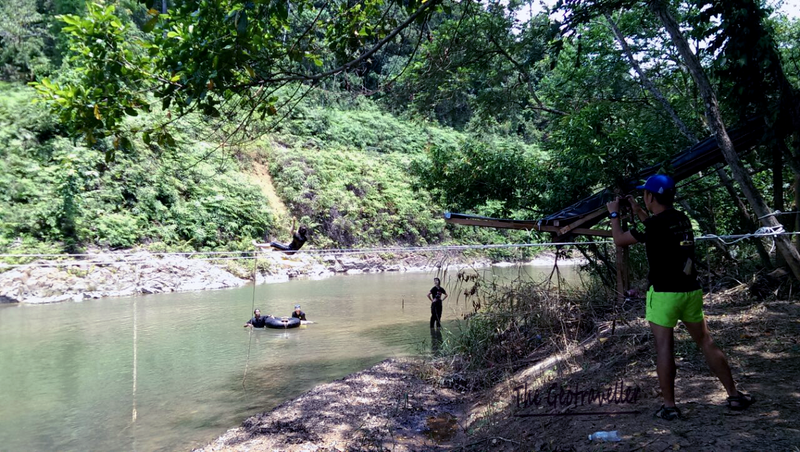 Long story short, local miners secretly mined after it was closed by a British company and able to sell the tin worth up to RM 1million. This was in the 60s. The kew level is where the miners first transported to the lower levels (10 levels). They used ring to indicate the arrivals of the kew. It was so hot and we could feel the oxygen depletion. At this level, there is a kew simulator which was very fascinating. Most importantly, you will experience the heat and claustrophobia inside the small kew. I could not imagine becoming one of the miners who is exposed to all sorts of dangers in the mine. I feel you bro! Must be tough and challenging for the miners. They only wore short shorts due to the heat. Right after the mine adventure, we hopped on a modified pick up truck with seats. The ride was quite long and bumpy and we arrived at Xscape at almost dark. Though in the dark, we took the opportunity to walk in and along the river. The view was still amazing. At night, we were served with nice dinner and BBQ which is included in the package. The phone reception was quite poor so we spent our night chatting, playing games, eat and watched Thai movie. We were having so much fun without phone in our hands. This is a good example of how carried away we are with technologies nowadays. This is a childhood board game. 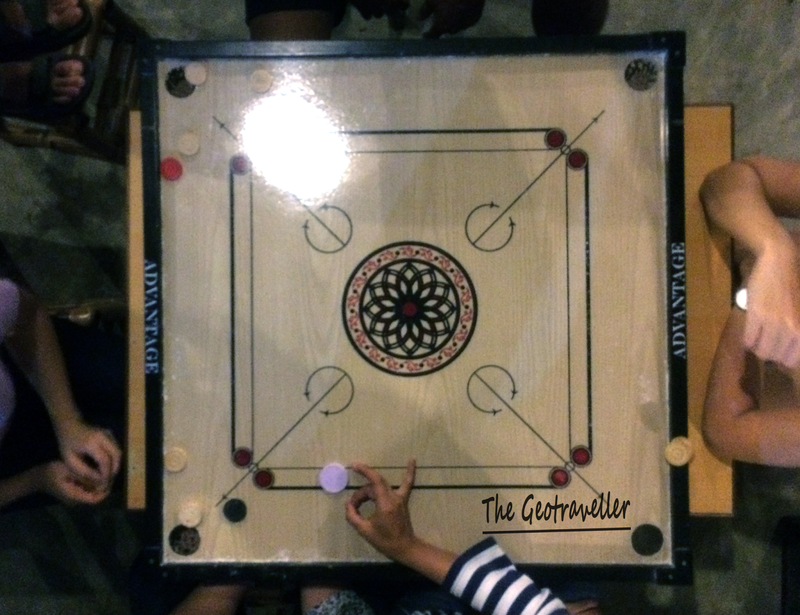 We called it carrom. The way to play is to flick the disc with some additional rules. This is the link for you to know more about it Wikipedia : Carrom because I am lazy like that. 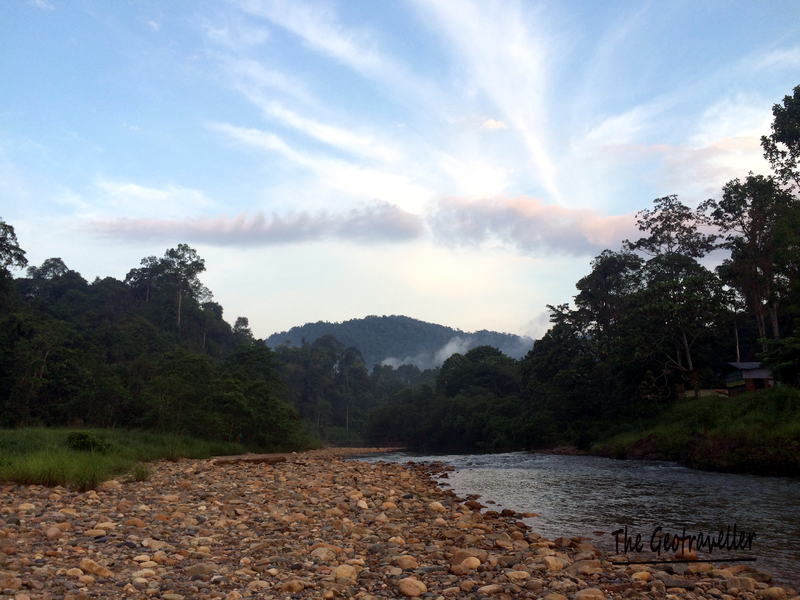 The next morning, we hopped on the truck again to travel another 1 hour to the starting trail towards the waterfall. The morning view. Ain’t it beautiful? 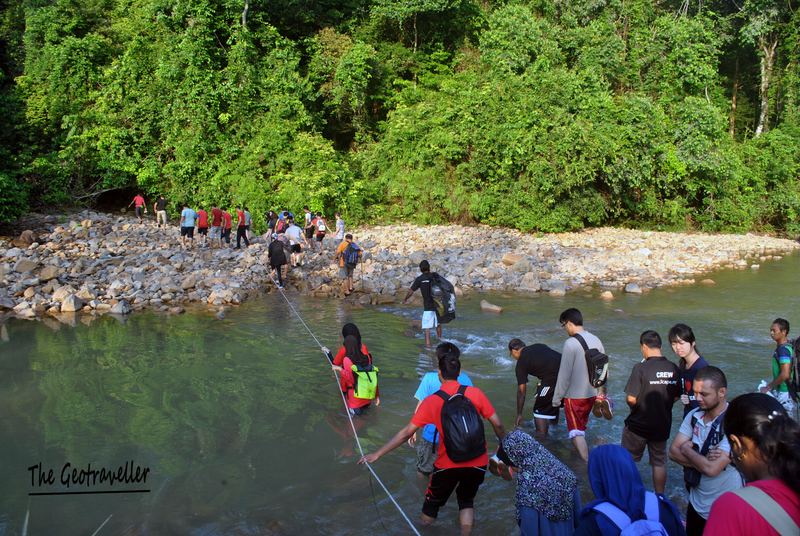 The visitors are preparing to hike for another 30 minutes to the waterfall. I would say the hike was not that hard but with huge number of people hiking at the same time, it could be quite tiring. We arrived at the waterfall before 9 am. 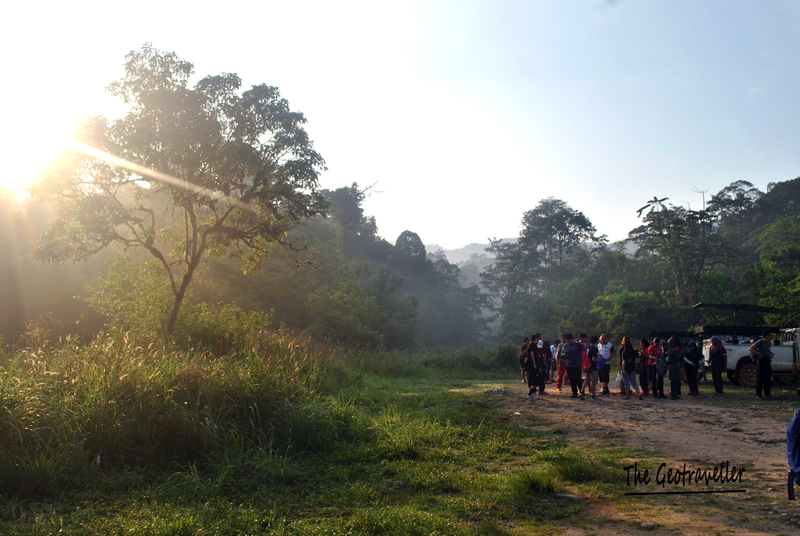 According to the guides, the prime time is from 9am to 10am when the sun shines directly at the sprinkling waterfall. The larger the drops volume, the bigger rainbow we would see. The waterfall is tall and handsome. While waiting for the rainbow, we were served with instant noodle in the cup. However, at this anticipating moment, I was caught with stomach bug. I got so frustrated and unable to eat. At the same time I prayed hard that I could control the pain and wait for the rainbow. The rainbow did not appear after 9am because of the cloudy skies. I saw many of the visitors already gave up and played in the pool. The servers or the guides. They are very friendly and accommodating. 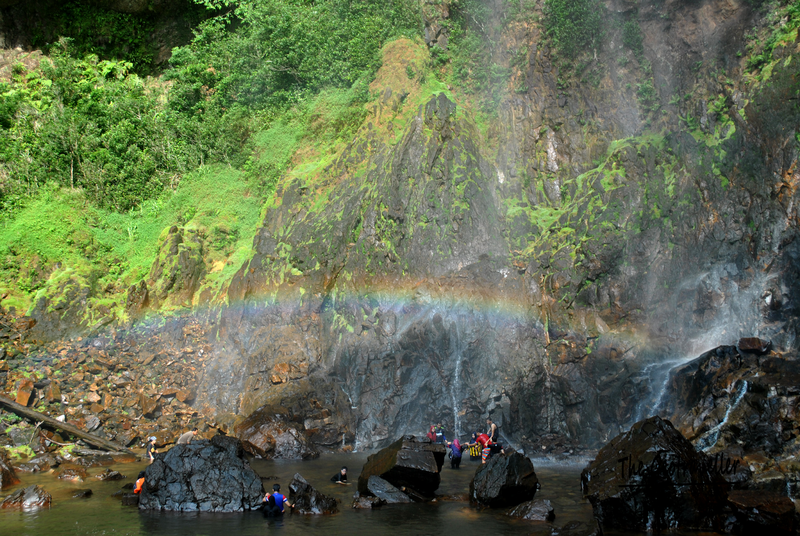 And finally, sun appeared and there you go, a rainbow at the waterfall. The interesting thing is that, if you go closer to the waterfall area, you would see rainbows everywhere. I can only explain this with Physics but I shall save it for some other time. I wish to have a waterproof camera to capture the moment. This is the famous rainbow waterfall. By noon, we returned to the resort (the stomach pain was still there. My buddies were impressed at my ability to control my bowel). The resort is in the restructuring process, so they offered us to try the new facilities that they built for free. First, is the water sliding. Scary at first but you will try it more than once. Then, the crossing ropes. Finally the jumping platform. Thanks to the resort, we got more than we bargained for. Me, got thrown away by the slide. It took me a week to recover from the back pain but it was worth it. 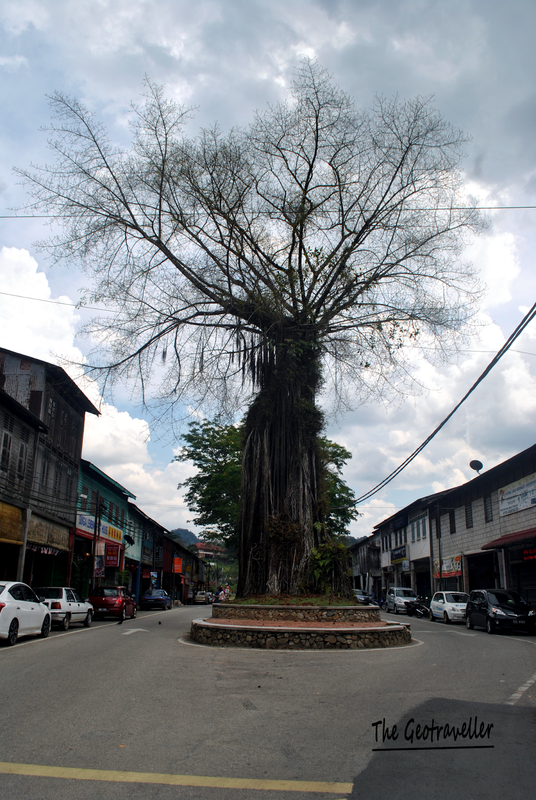 Before we drove back to Kuala Lumpur, we took the opportunity to walk around the town. You guys should visit this historical town. Gasoline pump. The only one in the middle of the town. Now I wonder, if this is still working, how are they going to pump from the stall to the car? 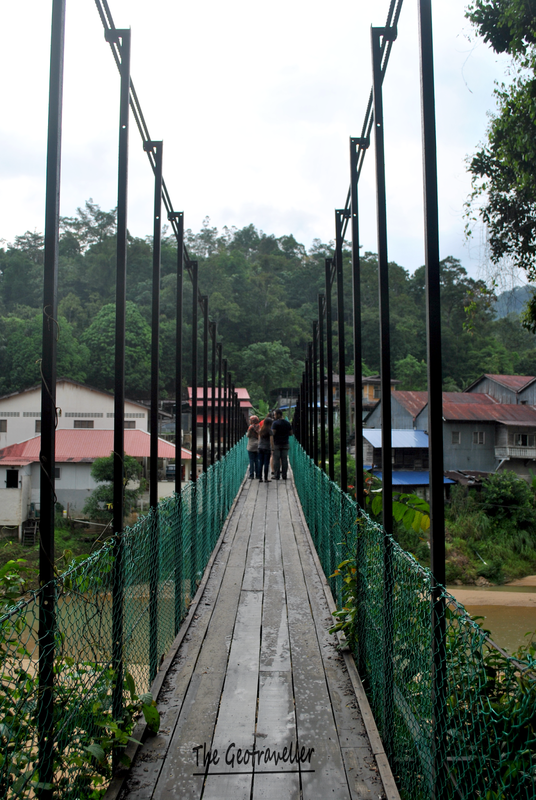 We paid RM160 per person for 2 days 1 night. 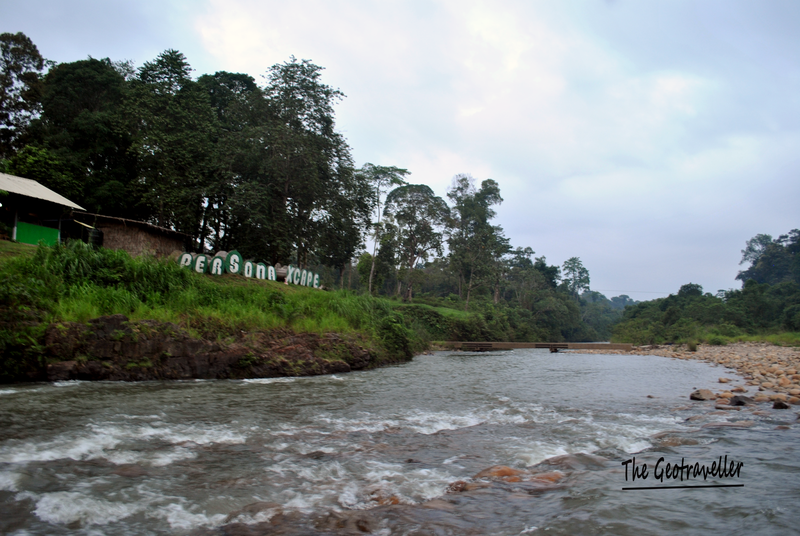 The package includes staying at the resort, dinner, BBQ and the trip to waterfall. We actually had to pay RM250 but thanks to the girls, they managed to lower the price. However, I believe the resort has learned their mistakes and won’t let the price to go as low as that anymore. At least I get to promote their business in this blog.